Yes, weddings can be extremely expensive (see our bride and groom tips here). But believe it or not, wedding season can also cost guests a lot. In fact, guests typically spend anywhere from $300 to over $1,000 per wedding. Now multiply that a few times across wedding season and you’ve got yourself a seriously expensive summer. 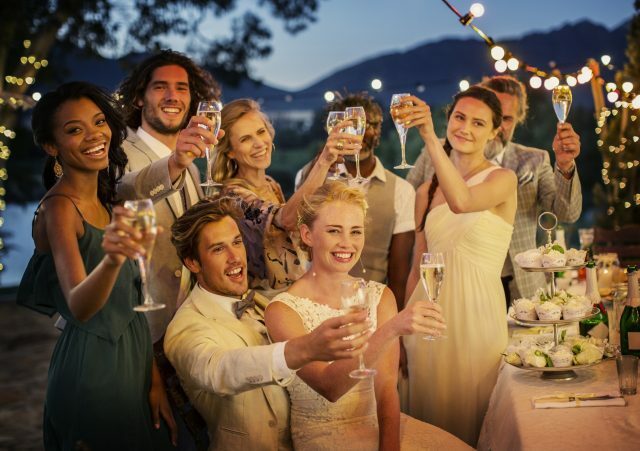 So in honor of the Summer of Love, which now extends into September and even October, here are some tips on how to save during wedding season. 1. Get started by RSVPing ASAP. You can quickly scan the registry and look for the wedding gifts that fit within your budget. The smaller gifts tend to go first, so be an early bird and save right away. You can search for the cheapest flights early on, bookmark them and then monitor for the best prices on apps like Hopper and Skyscanner. They’ll notify you when prices are lowest or when they are going to start rising again. 2. Be strategic about gifts. Consider buying gifts during the off season when they’re on sale. For instance, outdoor home décor items usually go for a fraction of the cost during late fall/winter. Or go beyond the registry and buy tickets to a special show months in advance, when they’re historically less. And always make sure to check multiple prices from different outlets, keeping an eye on Amazon’s wedding gifts under $25 throughout the year. 3. Borrow your fancy get-up. Wedding season can be fairly cheap when it comes to outfits for men (you probably already have a nice shirt and slacks). But for women, we recommend finding one great outfit to wear all season long with different accessories. You can also borrow a friend’s dress or consider renting an outfit for the weekend from sites like Rent The Runway. 4. Be a savvy traveler. Yes, that means using those miles/points you’ve saved up all year. Flight back on a Sunday too expensive? That’s no problem if you turn the trip into a summer vacation and stay a couple extra days until flight prices drop on Tuesday or Wednesday. Need more tips on how to save on flight and travel costs? Check out this article, which uncovers lesser-known travel saving secrets. Gifts – too late to buy up the smaller gifts on the registry? Didn’t buy in bulk during the offseason? No worries, it’s totally okay to go in on larger items with some friends. Accommodations – Oftentimes there are cheaper lodging options than the discounted rooms lined up for the wedding. And if you can find them, it’s not a bad idea to share them with some other attendees. Local VRBOs or Airbnbs will now let you split payment right away. Transportation – Sync up travel with friends so that you can use ridesharing services together to and from the locations. If you must rent a car, a few of you can just rent one if your travel plans are similar. 6. Don’t be afraid to decline. Don’t feel bad. It’s understandable if you’re too busy or can’t afford that third destination wedding of the summer. Just be sure to let the happy couple know you won’t be joining as graciously and quickly as possible. As a respectful gesture, feel free to send a small gift or even a note or recorded speech in your absence. We understand weddings are a blast and missing out is never fun. But thinking ahead to save money is the smart thing to do. You never know when you’ll be needing that cash down the road – after all, you might be planning your own wedding, buying a home or making big travel plans.